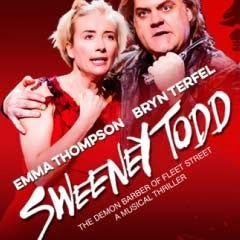 Updated 3rd March: Matthew Seadon-Young (Urinetown) and Rosalie Craig(The Light Princess, City of Angels) will join Emma Thompson and Bryn Terfel are the latest additions to the cast of the ENO production of Sweeney Todd: which opens later this month.Due to popular demand an extra matinee scheduled for 5th April has today been added. Rosalie Craig will play the Beggar Woman and Seadon-Young will take on the role of Anthony Hope (the young sailor who helps Sweeney board his ship to London). Multi Olivier-award winning Philip Quast is confirmed to play Judge Turpin in the strictly limited run of 13 performances of ENO's Sweeney Todd at London Coliseum which begins on 30th March 2015, with press night on 31 March and final performance on 12 April 2015. Quast's UK musical theatre credits include Grahame Chandler in The Fix at the Donmar, Georges Seurat in Stephen Sondheim's Sunday in The Park with George and Emile de Becque in Rodgers and Hammerstein's South Pacific. Juan Peron in Andrew Lloyd Webber's Evita and Georges in La Cage Aux Folles for the Menier. Quast played Javert in the original Australian cast of Les Miserables as well as in the West End. His concert engagements have included Sondheim's Follies at the London Palladium, Night of 1000 Voices at the Royal Albert Hall, Hey Mr Producer at the Lyceum Theatre, Sweeney Todd at Royal Festival Hall and Tsunami with the BBC Symphony Orchestra. The New York Philharmonic's semi-staged production of Sweeney Todd as Judge Turpin was Quast's New York stage debut. The ENO orchestra, conducted by David Charles Abell, will appear on stage with the cast in this semi-staged production which was originally produced by the New York Philharmonic at Lincoln Center earlier this year, with orchestrations by Jonathan Tunick. Book Tickets for Sweeney Todd , with 300 seats available at £10 for every performance.